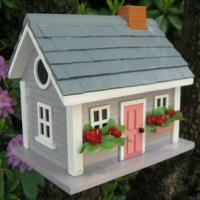 Home Bazaar is where elegant designs meet functional bird feeders and birdhouses. 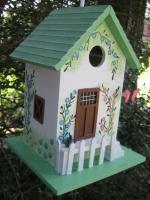 The distinctive bird products from Home Bazaar are architectural masterpieces that transform your backyard into a paradise for birds. 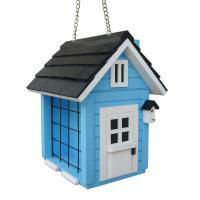 Despite the magnificent design and intricate detail of each product, Home Bazaar ensures that every birdhouse and feeder is 100% functional for birds. 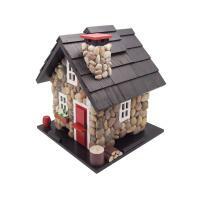 Whether you're looking for a birdhouse in the style of a cottage on Cape May or an architecturally wonderful feeder, Home Bazaar has all your decorative needs. 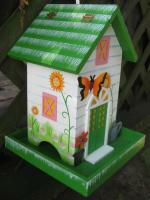 I just love this bird house suet feeder, as my birds and woodpeckers do too. 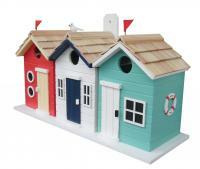 It is so cute and unusual. Anybody who sees it always complements. I am on my third one. 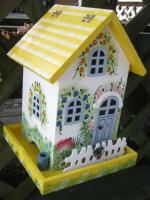 The only complaint is it doesn't weather well or stand up the birds beaks, claws, etc, and the occasional squirrel hanging on. 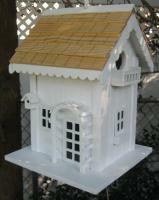 I had read somewhere about putting 3 coats of clear polyurethane spray on it to make it last longer. I did that (it's nice and shiny) and am hoping it will last longer-time will tell. Otherwise, highly recommend. Nicely done solid unit. 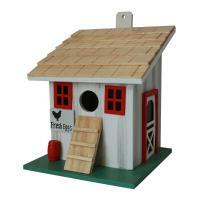 Has metal mesh inside to help the birds climb out, opening in the back for cleanup purposes, and hangar on the back. 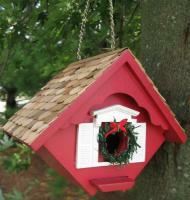 Mine hang on a column on the front porch and welcomed a family of wrens. 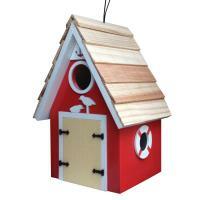 I selected a Home Bazaar birdhouse after reading the posted reviews. 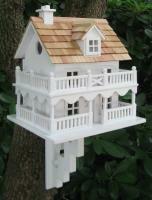 I love our Home Bazaar Long Island Birdhouse; it is well constructed and looks great in our landscape, at a lake. 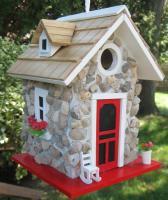 A pair of finches moved in as soon as I erected it. I highly recommend it. 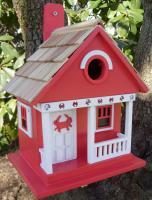 We were so happy to receive the bird house in time for Christmas. 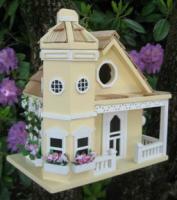 It is a beautiful birdhouse it enhances our backyard. The feeder really is attractive.